We work hard to make you successful online – that’s our day to day mission at WPRiders Agency. I’m the founder of the agency and we have successfully delivered more than 1000 projects on Codeable during the last 4 years. I’m proud that our focus on your business goals, on the quality of communication and of the deliverables has helped us maintain our 5-star rating. Custom WordPress development, that is, tailoring WordPress to your specific business process and helping you make a profit out of this. If you have a specific plugin that you need to adjust and make it work for you, we are best at it. Some examples would be, customizing WooCommerce Subscriptions for custom recurring payments, creating a custom quote calculator on top of Gravity Forms or customizing Learn Dash for specific needs and integrating it with Buddy Press. Develop custom searches for products, listings, etc. Import data to your website be it car listings, property listings, list of dealers, etc. Fix CSS issues, like menus, popups, etc. My numbers: 1300+ clients served during the last 15 years, 700+ projects finished on Codeable, a 5 out of 5 average star rating. click this link to see the WPRiders Agency website – the technical WordPress agency I founded. Marius is a great communicator. He gets the work done exactly as needed and is a pleasure to work with. Thank to Marius our last-minute customization went much better than expected! His communication and flexibility is top notch. Even with a large time difference, there was daily communication. We where kept up to speed on every aspect of the project thanks to Marius! Marius did a wonderful job integrating all of our requirements. Would definitely hire him again! Marius is great to work with and has proven to be an invaluable resource for our project. He is a skilled WordPress Coder and offers not only quality work, but intuitive suggestions on how best to proceed in the right direction. I will look forward to working with Marius once again on another project as well as continue to use his talents to help maintain this current project. 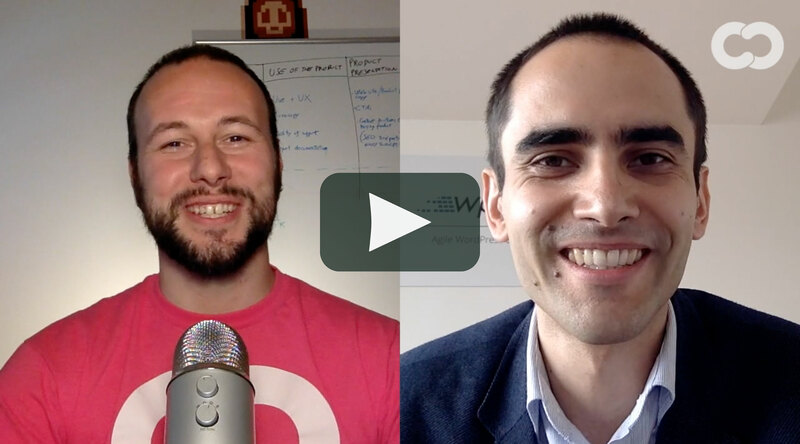 I highly recommend Marius if you are looking for a well spoke, intelligent and highly adaptive Coder. Marius did a wonderful job accomplishing the task at hand....creating a custom animation for my Login and Register button. Marius took the time to discuss the project at length prior to starting the task which builds trust and I like that a lot. I would most certainly hire Marius again. Marius was fantastic to work with. We started with a Skype call to make sure he understood my requirements, and from there he finished on time and on budget. He even gave me some extra help with a quick tutorial. I would definitely use him again. Fantastic! Will certainly request to work with him in the future! Excellent! Communicative, flexible, and most importantly delivers quality work every time. Very professional service. 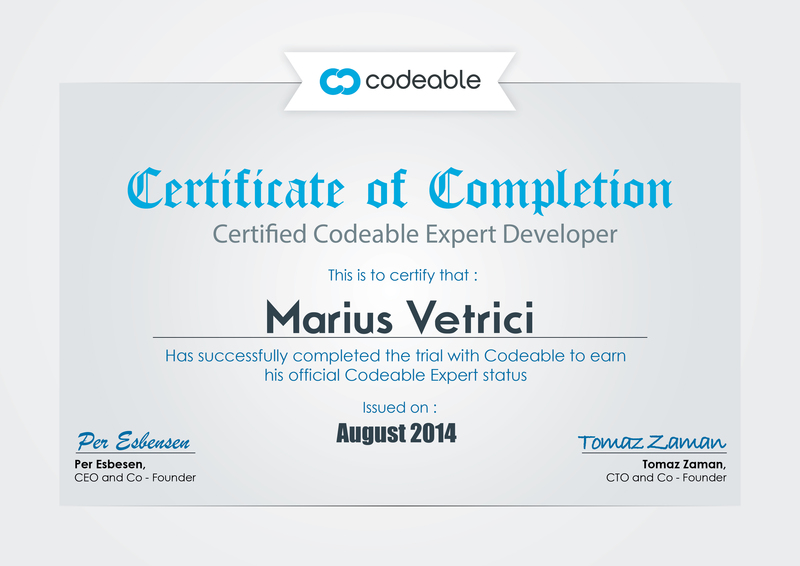 !For our first time using codeable service, Marius guide us step by step to achieve what we want. Finally the website looks perfect.